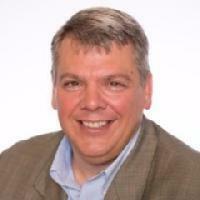 An anticipatory thought leader, Dr. Rick Pfohl has over two decades of experience in business transformation as well as leadership and organizational development. As the President of Navigos, Rick promotes anticipatory leadership, business model mapping, idea fusion and P2P mapping. His primary focus lies in assisting entrepreneurs as well as small and medium sized businesses/ enterprises. Adept at catering to multiple industries, Rick has developed expertise in utilizing progressive technologies and applying strategic intelligence to achieve organizational transformation with a global mindset. Currently, an Adjunct Professor at School of Management Studies, Eastern University, Rick trains young students on the nuances of Organizational Leadership. In addition, he founded The Global Institute for Leadership Development in 2008. Prior to this, Rick worked as a consultant across the USA and beyond. Rick has an applied Doctorate in Strategic Leadership (D.S.L.) from Regent University. He is also a Major in Strategic Foresight with an emphasis in Global IT Strategy. He earned an MBA from Liberty University and a Master’s Certificate in Information Technology Project Management from The George Washington University. Rick has significantly contributed to the domain of leadership and organizational development through his publications in “Leader Values”.